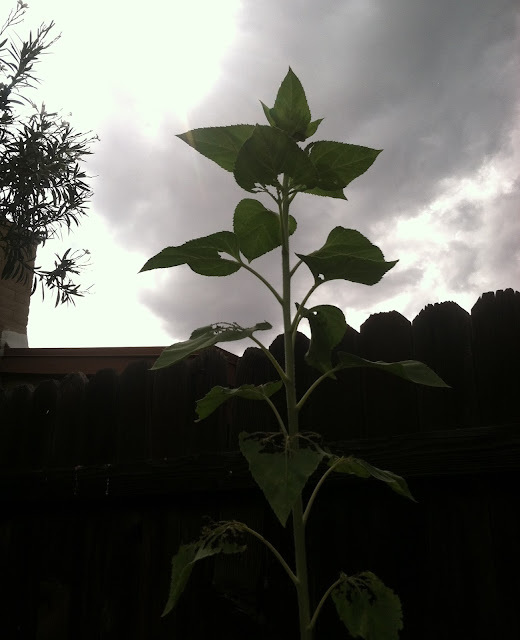 Every year I plant sunflowers along the fence that borders my neighbor's patio. This year's crop has already bloomed and faded except for this one fine specimen. It has now grown up over the fence line and hasn't fully formed its flower yet. Can't wait to see how tall this one will grow! And - you get a glimpse of our monsoon clouds gathering in the background.